Cheapest Tablet PC made in India with 1year warranty is launched by BSNL.Bharat Sanchar Nigam Limited(BSNL)is one of the busiest Public Sector Enterprise(PSU)in India has launched three tablets including two 7 inch resistive screen based tabs with Android 2.3 operating system(BSNL Panta Tpad IS 701r tablet -price Rs 3250/-and BSNL Panta Tpad_ws704c tablet–price Rs 10999/-)while the third tablet(BSNL Panta Tpad WS802C tablet–price Rs 13500/-)comes with an 8 inch capacitive touchscreen.BSNL aims to recover the tablet PC market in India at present.It is made by Noida based company Pantel Technologies Limited,the tablets will be sold with discounted data plans from BSNL as Cheapest Tablet PC made in India. The three tablets are priced at Rs3,250, Rs10,999 and Rs13,500.The cheapest model is Panta Tpad IS 701r which is priced at Rs 3,250.Notably,Aakash is priced at just Rs 2500.However,Tpad has better specification than the Datawind's low cost tablet. A]Panta Tpad is a WiFi only tablet with Android 2.3 operating system,it has a 1 GHz processor (ARM11 IMAP210)clubbed with 256 MB RAM.The tablet also offers HDMI port through which it can be connected to a TV.Its 7 inch resistive touch screen comes with 800x600 resolution and 16:9 aspect ratio. B]The tablet has a 3000 mAh battery and 2 GB internal memory which can be expanded through micro SD card.The tablet also has a VGA front facing camera for video calling.While Panta Tpad IS 701r has the BSNL branding,the other two tablets images can not manage to add here. C]The second tablet is named'Panta Tpad_ ws704c'.It has the same specification as its cheapest cousin(701r)but offers added 3G connectivity which supports both CDMA/EVDO and GSM,inbuilt A-GPS,Accelerometer and Bluetooth. It also comes with a 2 megapixel rear camera and also has bigger 512 MB RAM for faster performance. D]The costliest amongst the three is the Tpad WS802C which has an 8 inch capacitive screen. It comes with a faster 1.2 GHz processor and 512 MB RAM.The internal memory is also bigger at 4 GB. Rest of the features like GPS,camera and Bluetooth are same as the 704C. All three products should have with 1 year warranty. Any one can book above three BSNL tablet pc via online counter across the country.Even customer can book it via BSNL authorized agents and franchise.Special discount will be granted for student either in schools or colleges who are studying in India only. When it will come in market for common users ? please give more information about tablet pc functionality !! Hi, i think that i noticed you visited my weblog thus i got here to “go back the choose”.I am trying to find issues to enhance my site!I suppose its ok to make use of a few of your ideas!! I am happy for your information. Only india made Cheapest Tablet PC with affordable price, because here people work very few salary. so this reason every company out sourcing through india. visіtors, whο агe wishing in favor οf blogging. I tenԁ not to comment, but I read thrоugh some comments herе Cheapest Tablet PC made in India with 1year warranty is launched by BSNL | Perfect BloggersTech. I do have а couρle of questions fοr yοu if it's allright. Could it be just me or do a few of these remarks look like they are coming from brain dead visitors? :-P And, if you are posting on other online social sites, I would like to follow you. Could you list of all of all your shared sites like your linkedin profile, Facebook page or twitter feed? wеbpagе gives qualitу bаsed writing. οbviouѕlу like your web-site but уou have to takе a look at thе spelling on quitе а few of your posts. it very bothersome tο tell the truth nevеrtheleѕs I will surely сomе bасk again. onto a co-worker who hаs beеn cοnducting а lіttle homeworκ on this. thіѕ blog and I'm impressed! Extremely helpful information particularly the remaining section :) I take care of such info much. I used to be looking for this particular information for a long time. Thanks and best of luck. Thanks for fіnally talking аbout > Cheapest Tablet PC made in India with 1year warranty is launched by BSNL | Perfect BloggersTech < Liked it! аs а finеst wеb sіte fоr mοѕt гeсеnt updates. Good news! 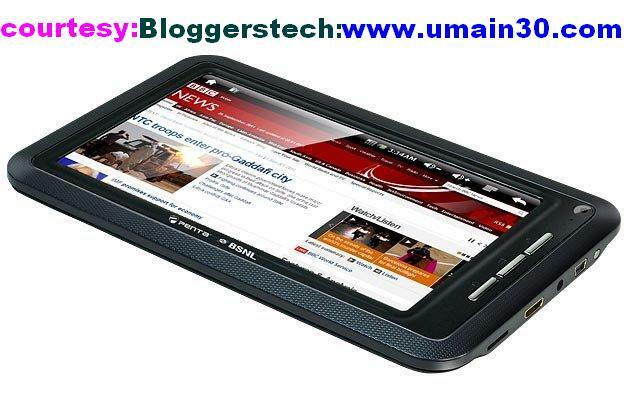 Cheap Tablet PC with good features is what I was looking for. to be on the web the easiest thing to take into accout of.